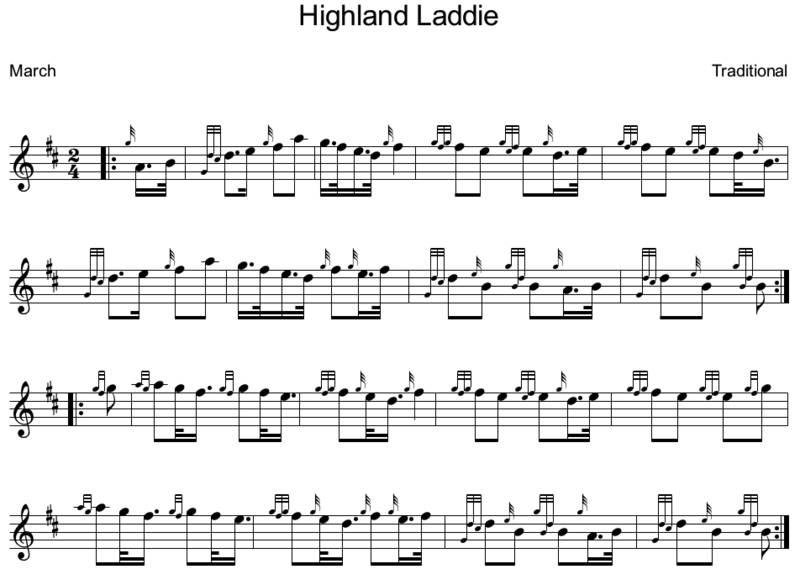 Highland Laddie is a old Scottish folk song that Robbie Burns put words to. It's also used in highland dancing and by many pipe bands. HERE is a link to the tune.